In order for an employee to receive worker’s compensation, they must first prove that their injury was a direct result of their job. Whether an injury or an illness, without proof that the incident is a direct result of their occupation, their claim is like to be denied. In most cases, this doesn’t raise much of an issue, but there are trickier cases that require additional proof. If an employer disputes the cause of your accident in order to avoid filing a claim, or for any reason, detailed evidence are going to mean the difference between being able to receive compensation and facing an injury without help. • Witness testimony – If anyone else was present when your accident occurred, collecting their account of what they witnessed is important for your case. These accounts should be as detailed as possible, and placed with their names and contact information. • Security camera footage – If your workplace has security cameras in or around your work area, the security camera footage can serve as failproof evidence in your workers compensation claim. Ideally, this footage will have caught not just your accident, but all circumstances surrounding it, proving without a shadow of a doubt that your injury was completely occupational. • Prescriptions – If you’ve been prescribed medications relating to your workplace injury or illness, saving all of your prescription records and receipts is another good idea. These are expenses that should be compensated with your workers compensation payments, so having a record of what they cost will ensure you receive what you need. Along with the prescriptions should be a written statement from your doctor corroborating any side effects or other effects of the necessary medications that could keep you from working longer. • Doctor’s notes – Detailed notes from a doctor can serve as excellent proof of your condition and the accident that has caused it. Typically, this note will be provided by a workers compensation insurance provider’s approved medical professional. • Written employer notification – After suffering a workplace injury, an employee must notify their employer as quickly as possible. A written notification detailing the how, when, where, and why of your accident alongside any witness contact information handed over to your employer is ideal. Don’t make just one copy; save a copy for yourself so that you have proof of your report to keep alongside your evidence should you require it. No injured employee hopes that their workers compensation case will be a problem, and many aren’t. However, being blindsided by an employer that tries to avoid paying injured workers can make any injury even more traumatizing. By collecting the proper evidence and keeping the right records, you’ll be fully prepared no matter how your case may go. The best way to approach evidence collection in a worker’s compensation case in Florida is alongside an experience Florida worker’s compensation and personal injury attorney. Your attorney will not only make sure you have all of the evidence you need, they’ll also make sure you’re being treated fairly all throughout the compensation claims process. Biased insurance approved doctors, premature cutting of benefits, and any other bumps in the road won’t be as daunting when backed by a professional in worker’s compensation law. 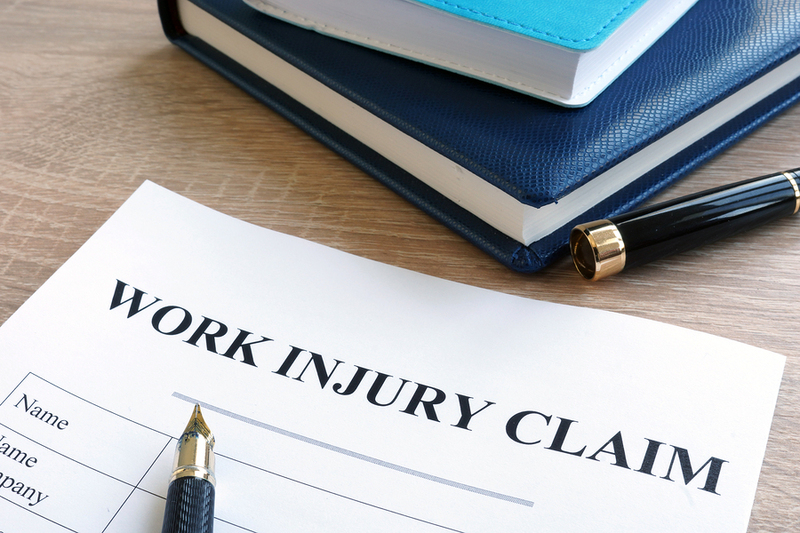 If you’ve been injured in an accident at work, and you’re looking to collect the right evidence, contact us at AllInjuriesLawFirm.com today to get started.